Sunrooms Installed! Starting as low as 20k! ABC Design & Build is a room addition contractor serving the needs of homeowners in Alexandria, VA, Fairfax, VA and Northern Virginia and Washington DC. Adding more space with a new room or sun room makes your home more comfortable, functional, and valuable. ABC Design & Build is a room addition contractor serving the needs of homeowners in Alexandria, VA, Fairfax, VA and communities throughout Northern Virginia and Washington DC. Whether you are dreaming of a larger kitchen, an extra bedroom, or home office, we provide quality workmanship at competitive pricing with no shortcuts. At ABC Design & Build, every project begins with a consultation with a residential designer. 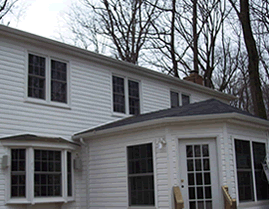 This service is offered free of charge to provide you with an accurate quote for your home addition project. During the in home consultation, the designer will discuss your requirements, create a design based on your vision, and a customized plan for your addition that is practical and budget minded. Because we take the time to create a plan, the estimate provides a realistic approximation of the cost of your home improvement project. This avoids the need for change orders and prevents customer dissatisfaction, due to unforeseen charges. We will help you select quality materials at competitive prices from our approved vendors to help you stay within budget for your new addition. The estimate for your project will include all necessary permits, insurance, and licenses. We encourage you to view before and after photographs of some of our room addition, kitchen addition, and sunroom addition projects in Alexandria, VA, Fairfax, VA, and surrounding areas on our website. Please contact ABC Design & Buildto schedule an appointment for a free estimate and consultation.